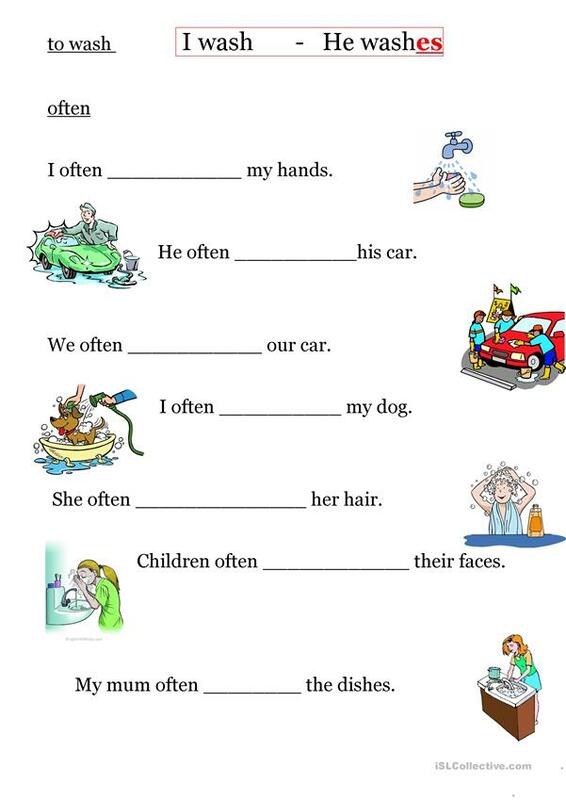 It's a worksheet for kids to learn Present Simple (grammar pattern+spelling). Based on the word "to wash". The present downloadable teaching material is best suited for elementary school students at Beginner (pre-A1) level. It can be used for strengthening your learners' Writing skills.